Should you buy a VIP pass? Are they worth it? There is a French proverb that states, “It is impossible to overdo luxury.” Would I want to be treated like a VIP - sure. 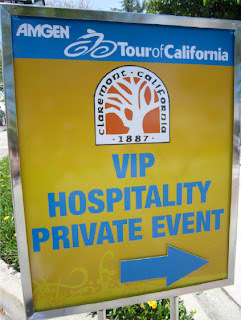 Would I buy a VIP pass for a professional bike race - it depends. 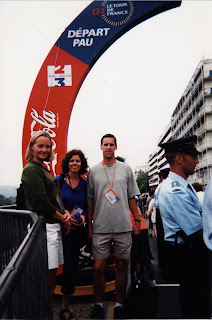 I was standing on a quiet street in Pau on a cool morning in July waiting for the Tour de France to start. A man walked up to me and handed me 4 VIP passes. This was not a dream but a reality that became a dream. 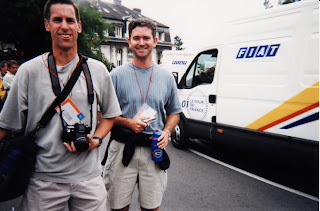 Having those VIP passes in France may have contributed to kick-starting my career as a fan in the most exciting way. We roamed behind the barriers seeing the riders warm up. We drank cappuccino and were instantly sold on the benefits of being on the inside. I have had two VIP experiences over my 10 years of being a crazed fan of cycling. The second one was at the Amgen Tour of California in 2010 as a guest of the Rabobank VIP tent at the finish in Westlake Village. It was VIP luxury. We were given a badge that made us feel so official as it flapped and twirled around on our chests. 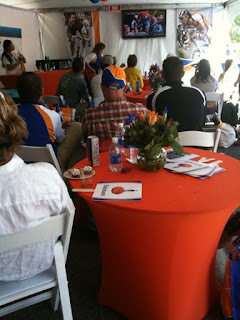 We were signed in and handed a large gift bag with Rabobank branding on every item including a hat, cowbells, race program, a fan, sunscreen, chapstick, bike light, and more. VIP treatment includes a buffet food table with hot food, desserts and plenty of drinks, beer and wine. The VIP tents are shaded with tables and chairs and tablecloths and large screen TVs to watch the race live. Typically located along the start or finish line, VIP pass holders can exit or enter their designated tent at any time and are provided with nice executive restroom trailers. 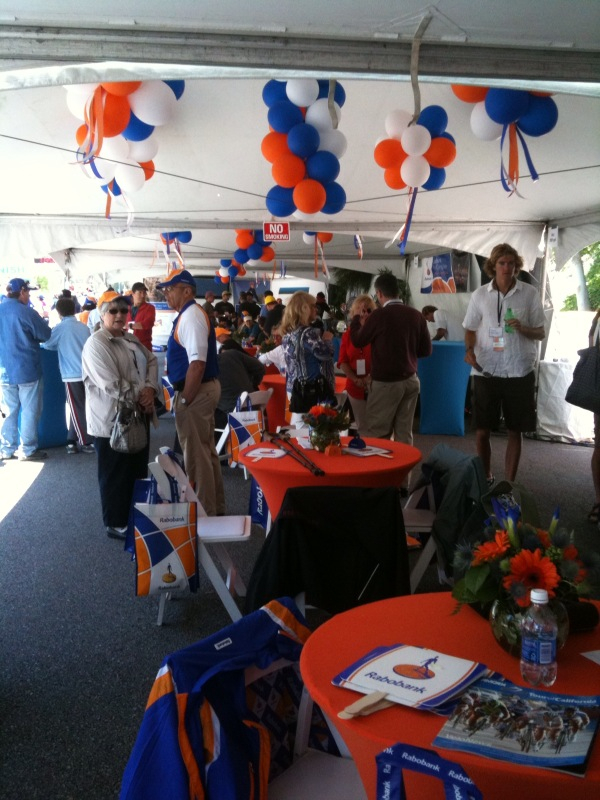 VIP tents are offered by the race event organizers, teams sponsors, local fundraising organizations, and private corporations. You can even buy a VIP suite for your friends. What you get: all the things mentioned above plus friendly staff service. What you and everyone else gets (meaning these are not exclusive to VIP pass holders): access to autograph alley, being able to see the sign-in stage, podium stage and team area. Also jumbotron large TV screens will be set up in public areas in many of the host cities for all fans to watch the race depart or approach. The organizers of the Pro Challenge are trying hard to make the features of being at a race accessible to the public for this first year. Yes they need to make money, but they also need to attract fans and shutting them out is not good business for the first year of a race. Are VIP passes worth the price? 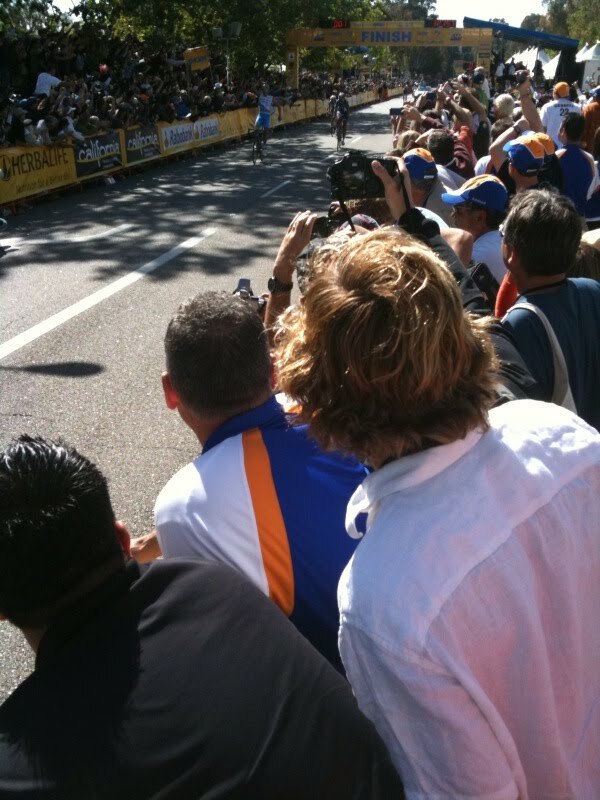 Sure if it is in your budget why not add more to your day's experience at the race. Of course if you cannot afford the VIP pass price, simply show up with your picnic, you'll have just as much fun. You do not need to go VIP. What you should notice is that the VIP start passes in Colorado ($100-$150) are less expensive than they are in California ($200). So if you want to try the experience out, this could be a great chance at a reasonable price. Now since the costs are the same for some of the stages, where is your money best spent? Through what I know about the stage races I have chased, plus living in Colorado - I would choose as my top three choices the Finish in Denver, the Vail ITT, and the Finish in Steamboat. Denver: The race will complete 6 circuit laps around Denver, and past the finish line area, before the final sprint finish. 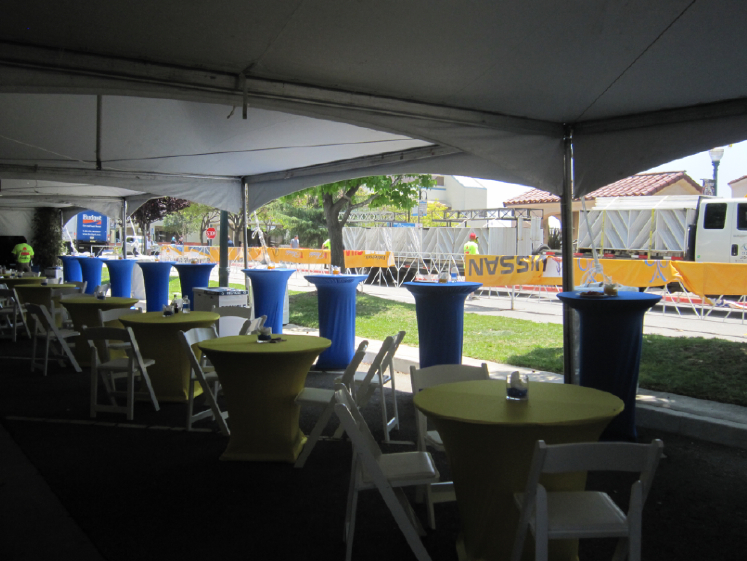 The VIP tents are located right at the finish line and near the team buses. The finish will be in downtown Denver, restaurants and water are blocks away and restrooms are porta potties. The crowds will be huge. It will be hot and you can watch the race on TV from your shaded tent and then run to the fence barrier to watch as the racers come by 6 times. Post post update: The VIP tent located in Denver for the final stage of the 2011 USA Pro Cycling Challenge was located at the finish line. Fans who got there early could rest at tables and chairs, by the time the fans arrived from the Golden start, the VIP area was getting crowded. Samantha, a fan, reported to me, that it appeared the VIP area had been almost double oversold, and more than over-capacity. She was told they sold over 1800 tickets to the VIP tent in a space that was intended to hold 1000 fans. Eventually they did not have enough seating or food. I understand there were a number of gate crashers in this VIP area. I hope that next year the VIP organizers provide the space and services the fans expect when purchasing VIP tickets at the finish of the tour. I also think they should check off the passes at entry or check ID. Certainly not every VIP tent is created equal. 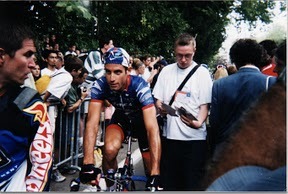 Vail ITT: I think the best part of any ITT is watching the riders warm up. Any fan can do this, but as a VIP you will also be able to see the rider on the start ramp and go to your tent to watch them on TV. Post post update: Although not right at the start ramp, VIP pass holders could stand on a nearby embankment and watch the riders start. Steamboat: the Finish is on a weekend and the crowds could be larger than the previous stages. You can watch the race approach on TV and be at the line for the big sprint. Post post update: This ended up being a great VIP area, the tent stretched the length of the final sprint just before the finish line. The only thing they ran out of was Sierra Nevada Pale Ale. 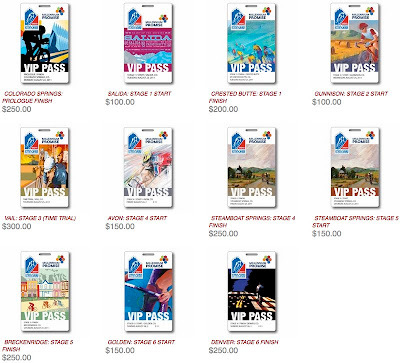 Why not a start VIP pass? If it is your preference to roam around freely at a stage start, there is still plenty to see and enjoy. The final line-up is so quick, it is nice to hear the national anthem and see all the riders together at the start line, but then they are off. Plus I don't drink wine and beer in the morning, usually. 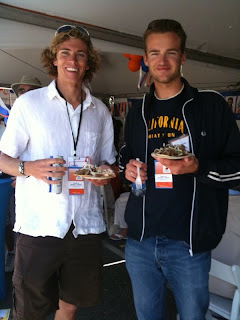 I really enjoy VIP areas at the finish where I can await the race finish in style with friends or family. If you want a deluxe VIP travel experience which could include access to press meetings and helicopter rides, you need to sign up with a tour company. VIP travel packages Travel Packages offered by VeloSport Vacations including three different 4-day, 3-night tour packages (Midweek Mountains, Final Weekend, Vail Time Trial). Packages range in price from $1995 - $2695 per person, with the Midweek Mountains package including a helicopter ride over Maroon Bells! These are VIP travel and viewing packages, including airport transfers, hotel, VIP access, buffets, gifts, TV in VIP suites at the start and finish areas, access to press conferences at the race and more. They are not cycling or riding tours. VIP tickets are sometimes mailed out to buyers (USA Pro Challenge said they would be mailed out the first week of August). We picked up our tickets at a Will Call table located near the VIP tents. They had a long list of VIP names with our names happily printed on the sheet. We were given our laniers and passes to be worn for the duration of the stage event. Tickets are usually for the start or the finish. 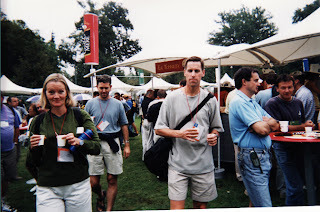 My last tip would be to try a little of everything at the race. I had a super nice couple write to me two weeks ago to ask about VIP passes. They helped me research VIP passes for the USA Pro Challenge through emails to the event staff. They have decided to sample a VIP pass at a stage finish, and to be out on the road on a mountain climb in the middle of a stage. I think they are smart to choose a variety of approaches to being a fan. I would of course be more than happy to be a VIP pass carrying fan for the VIP tent in Denver, but I probably don't have to mention that volunteer bartending gig again. See you at the races!